When starting a blog, I had no idea how much work I’d have to put in, before someone other than my mom, would read it. I thought all I’d have to do is publish a few posts, share them on Pinterest, sit back, and watch my audience grow. I get a lot of emails asking how to grow your blog and expand your audience, but the truth is, there isn’t a simple answer to this. It also takes a lot of time and patience- which is why you have to make sure to write about something you’re passionate about. In addition to posting more often and creating evergreen content, there are a few simple things that helped me grow my blog. The easiest way to avoid a writer’s block is to never let yourself run out of ideas. Other than product reviews, my ideas usually come to me when I least expect them. They can be inspired by a lunch I had with a friend, an article I read or a conversation I overheard- that’s why I always keep a small notepad with me so that I can easily write down my ideas. I also write them down in a note app on my phone sometimes. Some days, I spend a few hours doing research and organizing my ideas. When I do this once in a while, I don’t have to worry about coming up with post ideas for a few weeks. This gives me more time and freedom to focus on creating content. If you find yourself out of ideas, try to focus on things you’re good at and things you’re really passionate about, the things you’re loving at the moment. You can also find some ideas in these posts: 113 Ideas For A Blog Post and 113 [more] Ideas For A Blog Post. Keep the user experience in mind. Make sure that everything is easy to find; separate your text with paragraphs, use subheaders to break up your blog posts and make them easier to digest. Reading long blocks of text is difficult, and a lot of us love scanning through the article, before deciding to read it. Use bold text to highlight important points and links. If you have pop-ups on your blog, make sure they’re delayed and that they do not pop-up on every single page. It makes reading your blog difficult (especially when on a mobile device). Working on a blog is time-consuming. You create this amazing content, you hit publish, your blog posts get some views, comments, and then you move on to work on a next post. If you get, let’s say 200 views on your newly published post, that means that 200 people found it to be interesting. This also means that 200 more people, would probably find it to be interesting as well- so why share it only once? Go back to some of your older posts and re-share them on Twitter, Facebook, and Pinterest. When you publish a new post, try to share it at least twice that day- some of your readers might have missed it. I also publish monthly Round-ups where I share all posts published during the previous month- it’s a great way to re-share your content and make sure that your audience didn’t miss out on anything. Pinterest sends anywhere between 700-1000 visitors to my blog, every day- it’d be silly not to take advantage of that. Make sure that your posts can be shared easily- taking advantage of social media is essential for growing your blog. 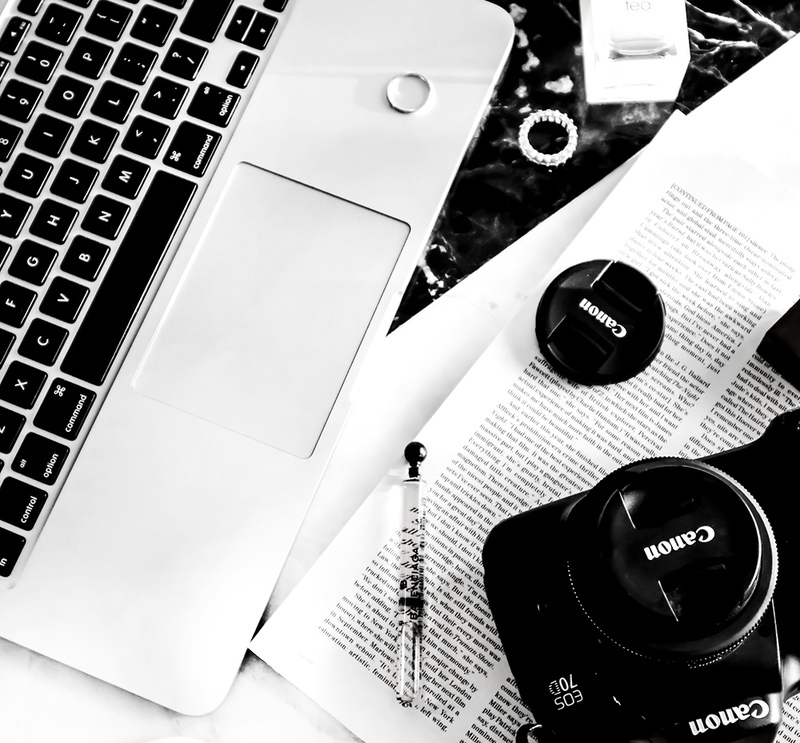 It’s great for not only sharing your content and expanding your audience, but also for connecting with your readers and networking with other bloggers. Pinterest is also a great source of inspiration and blogging resources. Twitter and Facebook are great for sharing your content and staying connected. Instagram is also one of my favorite social media platforms, but until recently, I had no idea whether or not it sent any new visitors my way. For a very long time, referrals that came from Instagram counted as “direct” traffic, but with recent updates, you can now track your Instagram referrals in Google Analytics. This means that you can now see just how many visitors Instagram sends to your blog and whether or not your hard work is paying off. It’s important for you to know what works and what doesn’t work for you. When it comes to social media, staying consistent is important and essential for growing your following. 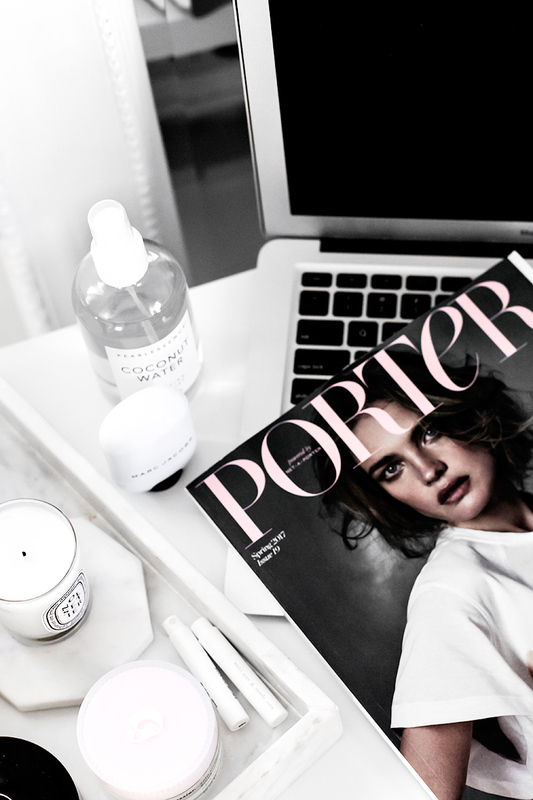 Chances are, there are a few posts on your blog that have been published a while ago, but continue to bring you a good amount of traffic- take advantage of them! Go back and update them frequently; whenever it’s relevant, link to some of your newer content within those posts. Those posts can also give you an idea of what kind of content your audience enjoys the most. You can also use some of those posts to create a resource page or a mini blog series. ….with your readers and other bloggers. I’ll admit it- don’t always have enough time to answer all comments, but I try my best to catch up whenever I can. I think it’s very important for your audience to know that you’re “there” for them, to answer any questions they might have. It creates a sense of community around your blog, builds relationships and trust. 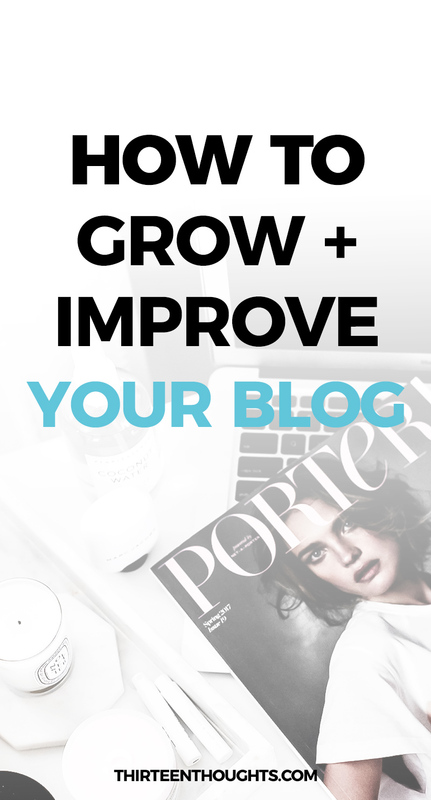 Connecting and networking with other bloggers in your niche can also help you grow your blog. Sharing helpful content from other bloggers, answering questions, and keeping up-to-date with their social media accounts can help generate more awareness for your own blog. Make sure that your profile/featured image is the same throughout all of your social media profiles. If you can, make sure that your handle is the same, too. This creates brand consistency and can help build your presence. The same thing goes for the type of content you post- make sure that it’s all consistent with your brand/style. There’s a lot more that goes into expanding your audience and growing your blog, but these are a few simple things you can start doing today. If you do all of these well, your blog will grow. Keep in mind though, that it doesn’t happen overnight and patience is key. Pay attention to analytics; see what works for you and what doesn’t but don’t be afraid to try something new. Even if it doesn’t work out, chances are you’ll learn something useful. If you liked this post, make sure to also see: My Best Blogging Tips: Your Questions Answered.